Mark May 20 on your forex calendars kids! No, it ain’t just because it’s Friday and you get to decide whether you’ll be kickin’ in the front seat or kickin’ in the back seat. Canada will release its inflation figures for April! So make your weekend more fun, fun, fun by making pips off the report! After doing their homework, market junkies have bet their two cents that we’re going to see a 0.5% rise in Canada‘s inflation in April following the 1.1% increase we saw in March. Excluding volatile items such as food and fuel, consumer prices are seen to print a 0.1% uptick during the month. 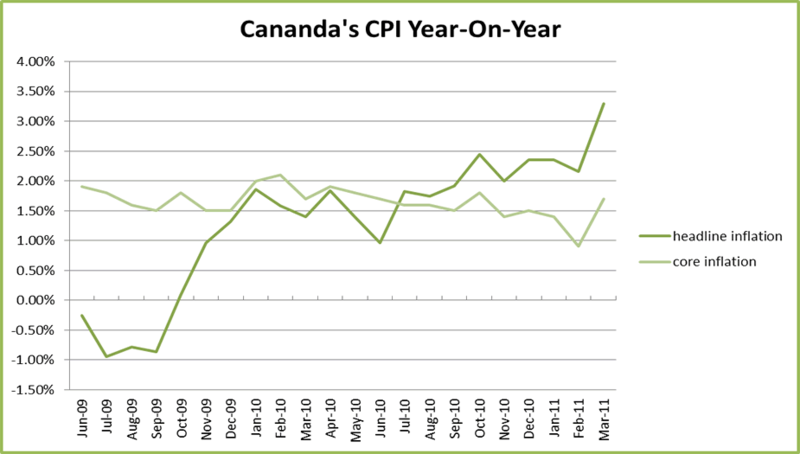 Inflation in Canada… Trending higher? If they’re right, the annualized headline figure will be at its highest in two and a half years at 3.4%. Meanwhile, core inflation year-on-year will come in at 1.6%. Looking at the raw data, it seems that the main driver behind the unexpectedly high CPI was the surge in fuel prices. In April, fuel prices leapt 24.7% month-on-month after it had already surged 18.9% y/y in March. Yeaaaaah, as if I needed to look at the numbers to know that! Thankfully, the Canadian dollar’s strength has somehow offset inflation. Remember, whenever a country’s local currency becomes stronger compared to foreign currencies, it becomes cheaper for them to import goods and services. Companies have also been having a tough time passing on additional costs to consumers as wage growth has been unable to keep up with rising prices. Average hourly earnings have been stuck within 2.0-2.7% y/y for the last two years now, slightly below inflation. 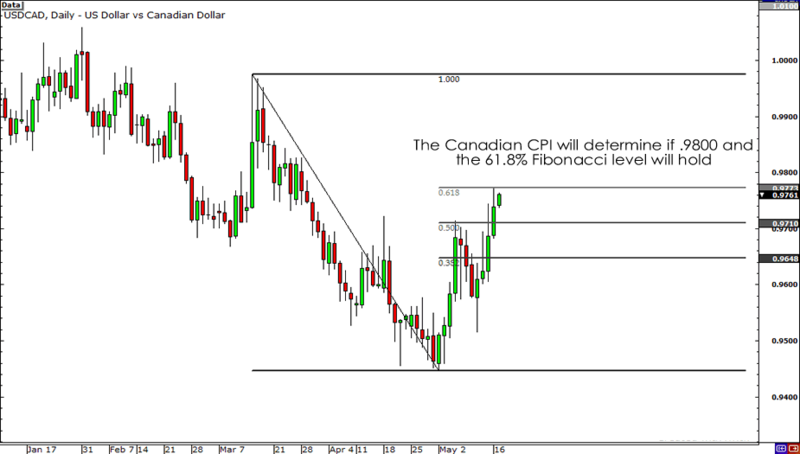 It’ll be very important to keep an eye out for inflation in the coming months as it’ll be key in determining the interest rate outlook and USD/CAD’s direction. If the CPI report later in the week shows that inflation pressures have not subsided, then we could see the Bank of Canada (BOC) hike interest rates at least twice more this year: one during the third quarter and another one before year-end. That, of course, will be positive for the Loonie.